Mid-Level Road Wheel - Handbuilt by our Master wheelbuilder with DT PG 293mm & DB 295mm stainless spokes. 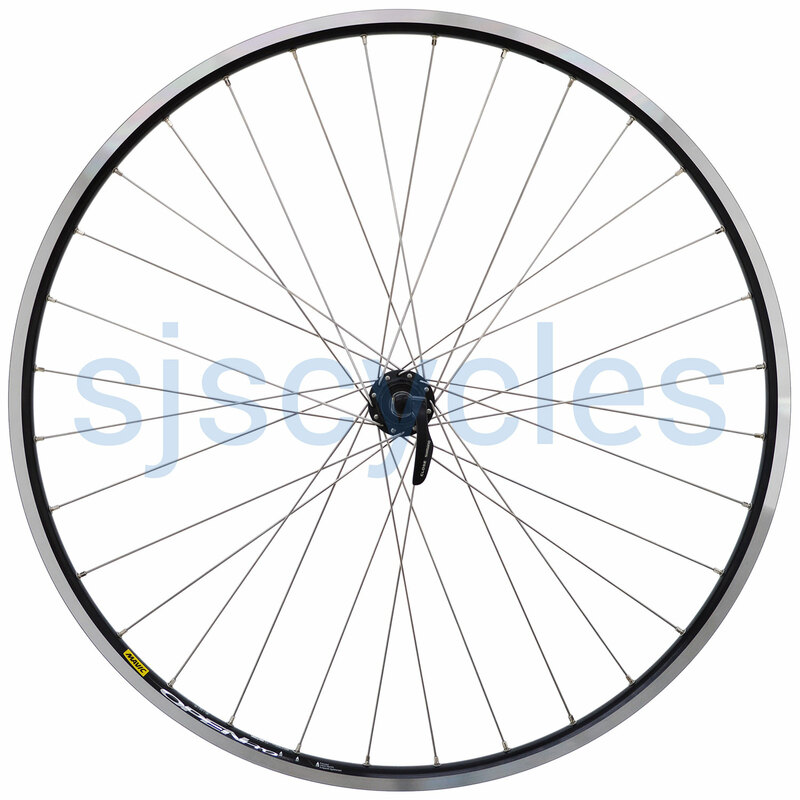 Note: This wheel is not supplied with rim tape, please see the related products section for suitable options. Can i use this wheel with an 8 speed cassette? What's the maximum width of tyre? Can one have a choice of black spokes? Hi, the hub is 9, 10 and 11-speed compatible so no for 8 speed. The recommended tyre widths are 19 to 28 mm. Yes we can build using black spokes, but the wheel will be more expensive due to the price difference on the spokes. If you need black spokes please contact us for a custom wheel build. Thanks.